This is a comprehensive activation course, where participants brought forth the questions and comments that drove much of the focused content for expansion and through higher consciousness, including discussions about NEW Earth Challenges, anchoring and existing in these higher frequency bandwidth realities, physical Crystalline LightBody upgrades, integrating and functioning in a multitude of realities and navigating using Mastery Tools for Multi-Dimensional Consciousness. Join Lisa Transcendence Brown and co-host (and fellow angel), Melissa Adams, for the recording of this 13-Week In-Depth Live Interactive Program. ​Throughout the series, we focused on obliterating old programs, expanding beyond limited perceptions, embracing multi-dimensional existence and coming to live beyond the veils of amnesia that the lower dimensional frequency bandwidths of consciousness blocked us from REMEMBERING. As our vibration raises, we release separation inside, remember who we truly are and wake up to an existence we forgot. Simultaneously, inside our physical body we are transforming from carbon-based human to Crystalline Star-Light Beings, which requires that the outside reality also realigns. 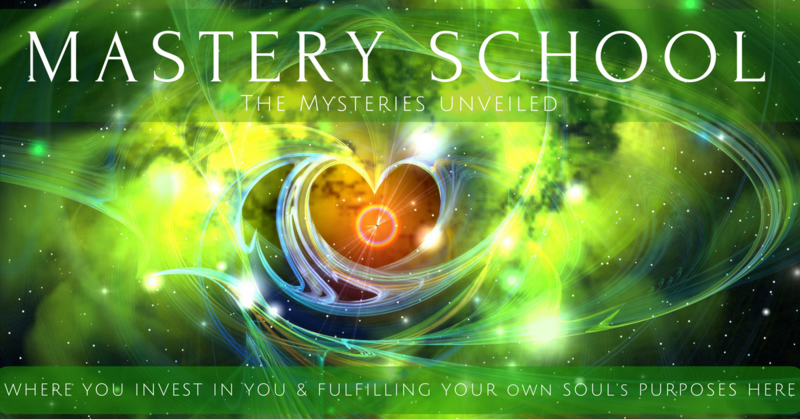 In this program, we talk about the sacred bizarre, that which does not conform to old beliefs and perceptions and through the activation of Universal keycodes, provide ancient knowledge and tools to assist with easier navigation, understanding, integration and unification for fulfilling your purposes and mission as a Light BEing In-Service here. This program is designed to walk you through a multitude of processes. Navigating is so much easier with continued support and knowledge that confirms with that which you already know inside. 53 Hours of Mastery Wisdom content! Sign up for the Newsletter to receive our updates too! Listen to this additional call to receive even more! For the past year, I have been listening to Lisa on various teleseminars. This led me to enroll in her “New Earth Existence Program” along with reading her two books. Lisa often speaks about how we do not understand something until we have a direct experience. While reading her book Navigating Dimensions, I realized that she was describing very accurately everything that I had experienced during this past year, from waking up with songs in my head to the physical symptoms of ascension. Lisa has a grand heart and an unlimited desire to assist us all through this incredible process with grace and ease. She supports us with the same intensity that she applied to herself during her own ascension process. She is detailed, impeccable, honest, sincere and unwavering in her approach to sharing truthful information. It was through her meditation modules that I was first introduced to the Galactic High Council. Some awesome contract re-writing was done with these beings who, I know with a certainty, will see to the success of our mission here on Earth. What I admire most about her is her insistence that we turn inward to obtain our own answers so that we may become our own sovereign being directly united with Source. I am truly grateful for the energy and support Lisa provides to us all. We are blessed beyond measure through her divinity. Thank you for creating a sacred place for us to learn and share about this beautiful awakening process. Each week I learned more about myself and gained new understandings about the transitions I am going through. I learned to go within and listen to my heart and the galaxy I am, all that I am. I am grateful for all you share from your open hearts. I have been learning to trust myself more each day and to embrace the alchemical changes occurring with me. From listening to your many descriptions of your experiences, I have learned to explain some of these transitions and changes in a loving and open way to help others, as well, during their awakening process. I am grateful to you both for your service and for BEing love in all ways! I LOVEd this program and highly recommend you to experience Lisa Trancendence Brown and Melissa Adams guidance!! I have fully dedicated myself to my personal and spiritual growth actively since 2001 yet there were many issues, so called symptoms that I could not understand or had anyone else to ask about, receive information. This New Earth Program was one of the most powerful Remembering tools I have experienced to clarify and expedite my Ascension process. 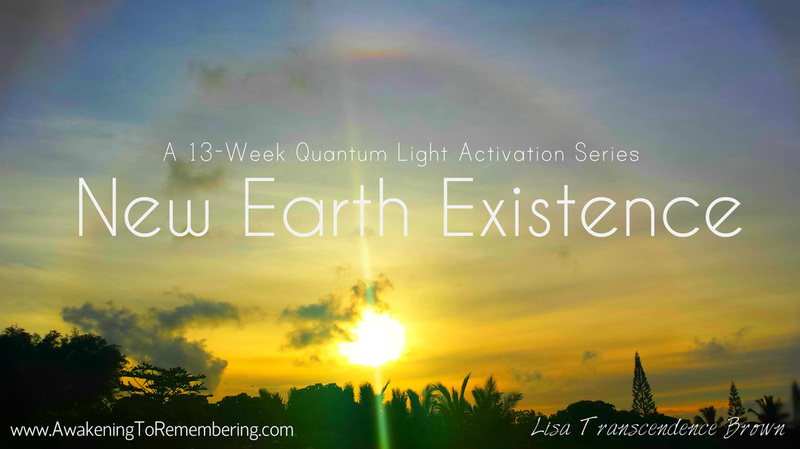 Lisa is truly tapped into the cutting edge information of the movements of this Ascension process of Remembrance we are all undergoing with Mother Earth. Some of us are doing that consciously and Lisa Trancendence Brown is a magnificent guide for this exquisite journey!!! Her firm love will push you in Lightspeed through Portals and vortexes if you are open and receptive. Her generous sharing all coming from her own experience simply make our journey easier and more joyful... It is truly amazing. Understanding the process has made everything flow with more ease, relaxation and playfulness. Now I am relaxed through the fluctuation of the patterns, and don't resist the sleep or lack of sleep and feel much more invigorated and productive. I also have a clear understanding of the unfolding of my life purpose plan and I now feel I can relax and enjoy rather than struggle through the process! So I HIGHLY RECOMMEND that you give yourself the gift of working with Lisa Transcendence Brown and Melissa Adams and enjoy their guidance that will shoot you to the stars. Will expedite the integration of the process of your embodiment of Mastery opening the floodgates of abundance, prosperity,health and all that you are already back into your remembrance!